Isabella played in her first T-ball game today for Ed's Garage Doors. Sort of reminds me of Chico's Bail Bonds (go ahead, look it up if you need to :) ). Below are video of her two at-bats. To see an HD version of each, just click the link below each video. Enjoy! 100_0058, originally uploaded by roneil_icatar. 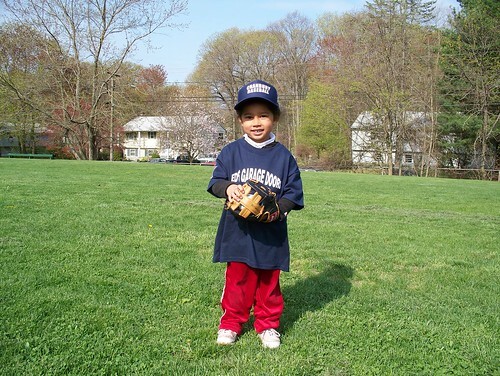 Isabella's 1st T-Ball Game from Roneil Icatar on Vimeo. Isabella's 1st T-Ball Game Part 2 from Roneil Icatar on Vimeo.